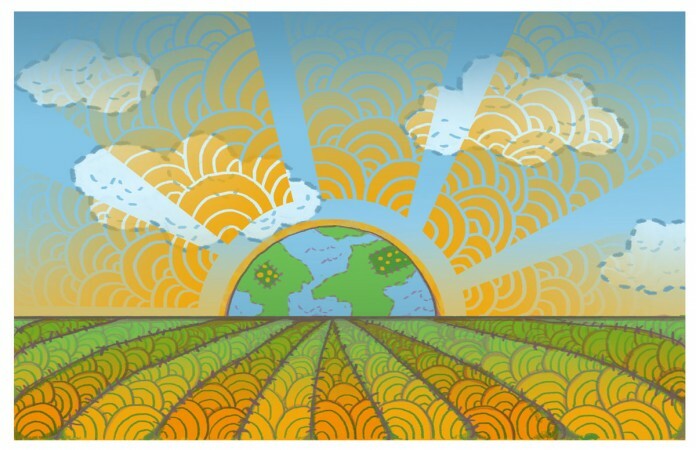 OVERLAND PARK, Kan. — The Agriculture Council of America (ACA) and Meredith AgriMedia encouraged young artists to celebrate modern agriculture through the 2nd annual National Ag Day Poster Art Contest. A winning original piece of art has been chosen as the Official National Ag Day poster. Brittany Plachecki, Kansas City Art Institute, was selected as the winner of the contest. The contest theme was Agriculture: 365 Sunrises and 7 Billion Mouths to Feed . Entries were screened by a nine member jury, and finalists were judged through online voting to determine the winner. In addition, her artwork and a profile of Plachecki will be prominently featured in Successful Farming magazine and Ag Day correspondence. She will receive a $1,000 scholarship from Meredith AgriMedia. Media releases will also be sent to all Ag Day sponsors and supporters. The artist will receive a portion of the proceeds from limited edition prints and the original artwork will be on display in a public location.